WEST UNION, W.Va. – About 40 people from all over North Central West Virginia joined hands at 6 p.m. on Aug. 18th over Middle Island Creek, the longest creek in the United States and one that has been severely impacted by fracking and the ongoing construction of the Stonewall Gas Gathering pipeline through four West Virginia counties. They gathered on the “Rails to Trails” bridge that spans the creek at the entrance to this tiny hamlet, which is the county seat to one of the most heavily impacted counties in the United States from fracking. The residents were taking part in a grassroots uprising that included people from across Appalachia and beyond opposed to the development of further natural gas infrastructure and the related extractive process of fracking. They were joined by citizens in at least nine states, from New York to Oregon, according to Sharon Ponton of Nelson County, Va. and the Blue Ridge Environmental Defense League, a sponsor of the action. Other sponsors included the Chesapeake Climate Action Network, and Beyond Extreme Energy. © The Appalachian Preservation Project, 2015. 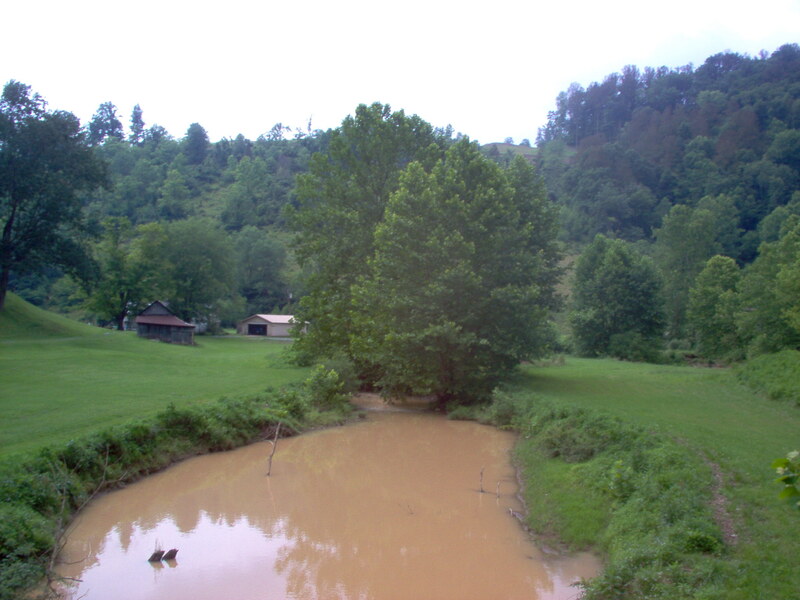 The Appalachian Chronicle is a publication of the Appalachian Preservation Project. If you find this writing of value, we hope that you will consider support our independent work by becoming a member of the Appalachian Preservation Project. By doing so, you will be supporting not only this website, but also our other outreaches, programs and partnerships. WEST UNION, W.Va. – Here, where the odors, sights, sounds and overall destruction of fracking is most felt, residents are participating in “Hands Across Our Land,” a national action being held in locations throughout Appalachia and beyond in opposition to fracking and the related development of the natural gas industry. 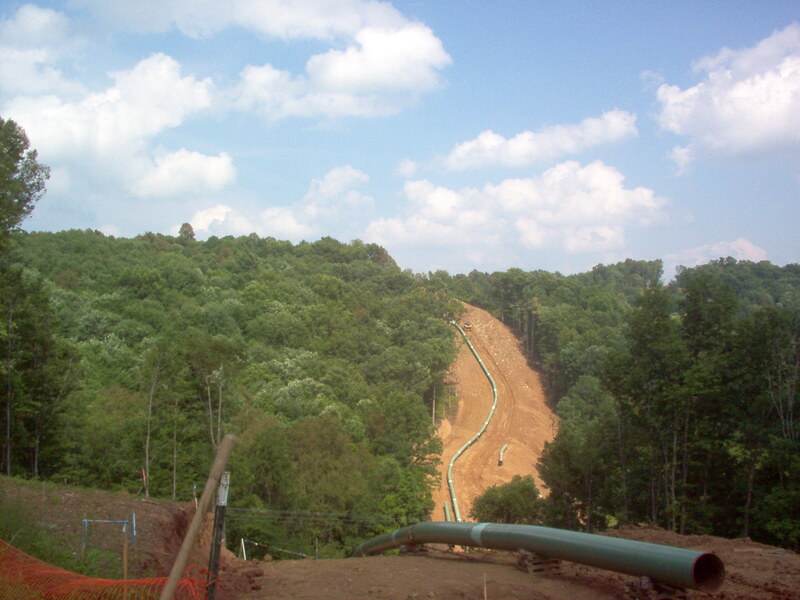 Stonewall Gathering Pipeline construction as seen from a hilltop in Doddridge County, W.Va. Meanwhile, further north, Pennsylvanians and West Virginians will join hands at Point Marion, Pa., near the boundary between the two states. Southwestern Pennsylvania and northern West Virginia are situation in the heart of the Marcellus Shale boom and thus are experiencing public health and safety threats associated with the industry, as well as ecological destruction. 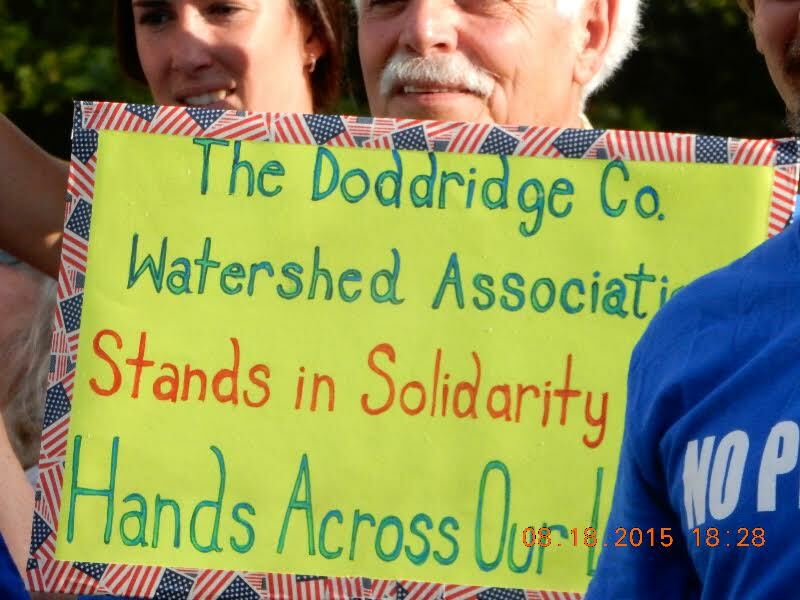 For the Doddridge County event, visit the DCWA Facebook page or its page for this event. For the state line event, contact Nichols at Duane330@aol.com. Sharon Ponton, co-chair of Free Nelson, a grassroots group in Virginia fighting the proposed Atlantic Coast Pipeline (ACP), says her organization is one of many planning events for that day. “The purpose of Hands Across Our Land is to show solidarity and unity among the hundreds of grassroots groups fighting new fossil fuel infrastructure, whether it’s a pipeline, a well pad, an export terminal or a compressor station,” said Ponton. 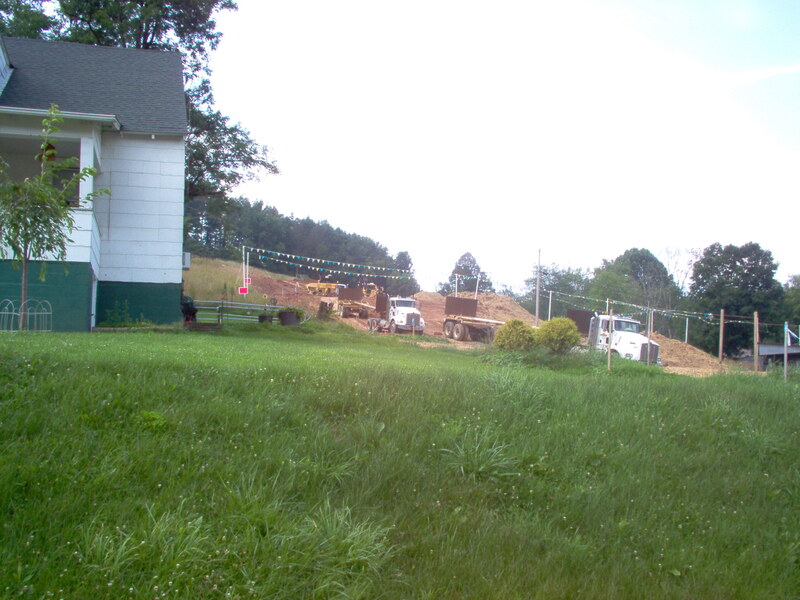 The Stonewall Gas Gathering pipeline construction is less than 100 feet from this home near Weston, W.Va.
To learn more, contact Ponton at freenelson3@gmail.com. © The Appalachian Preservation Project, 2015. The Appalachian Chronicle is a publication of the Appalachian Preservation Project. If you find this writing of value, we hope that you will consider support our independent work by becoming a member of the Appalachian Preservation Project. You can learn more here. By doing so, you will be supporting not only this website, but also our other outreaches, programs and partnerships.